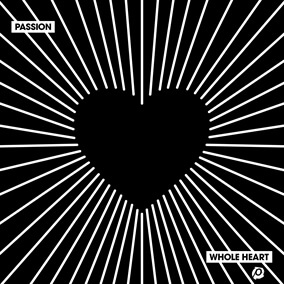 Two Brand New Singles from Passion - "God You're So Good" and "Whole Heart"
Recorded live with the sold-out backdrop of Atlanta’s Philips Arena, Infinite Energy Center and Washington D.C.’s The Anthem, Whole Heart, the newest collection of songs from Passion, will street digitally on February 23 followed by a physical release date of March 23. Passion 2018 brought together more than 32,000 students from 700 universities and 35 countries to three arenas in Atlanta and for the first time Washington D.C., in addition to a simultaneous live stream. Worship leaders and bands leading at this year’s gathering included Passion (helmed by Kristian Stanfill, Brett Younker and Melodie Malone), Crowder, Matt Redman, Jimi Cravity, KB, Brooke Ligertwood, Andy Mineo and Tedashii. Today, we are bringing you the Original Master MultiTracks and instrument parts in RehearsalMix for the album's first two singles, "Whole Heart" and "God You're So Good." We invite you to pick up these two new singles on iTunes and use these resources as you introduce these songs to your congregations.